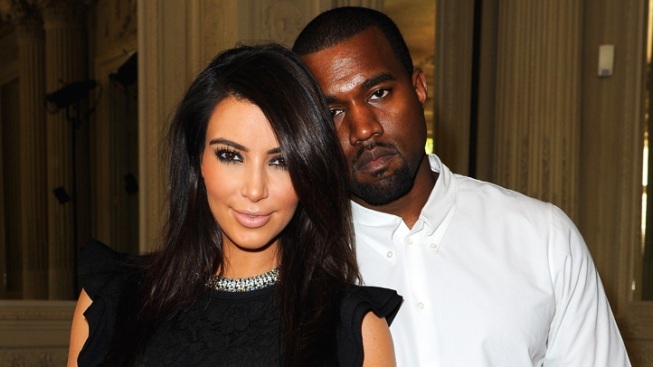 Kim Kardashian and Kayne West are expecting their first child together. An airline employee at New York's Kennedy Airport is being investigated for allowing Kanye West and Kim Kardashian to bypass a mandatory security screening before boarding a flight to Los Angeles Tuesday morning, authorities said. The couple landed at JFK from Brazil and were on their way to a connecting flight to Los Angeles, according to Transportation Security Administration spokeswoman Lisa Farbstein. After clearing customs and baggage, West and Kardashian were escorted by an airline employee "through a non-public area in order to provide expedited access to their domestic flight," said Farbstein. Security protocol calls for every airline passenger to pass through the TSA security checkpoint at the airport. When TSA officials learned what happened, they took West and Kardashian off the plane and screened them privately in an area of the jetway, said Farbstein. The couple was eventually cleared to board but the process delayed the flight by about 50 minutes. TSA is investigating the incident and the employee, said Farbstein. West and Kardashian have been dating since April 2012 and are expecting their first child together.